was born Archibald Alexander Leach in Bristol England. He never deigned to perform on TV; his only appearances were associated with the Oscars, The AFI Salutes and Kennedy Center Honors. But he had a much healthier radio resume, starring in the series Mr. & Mrs. Blandings, and guesting on Lux Radio Theatre, Suspense, Hollywood Startime, and several lesser series. He died of a cerebral hemorrhage Nov 29, 1986 at age 82. On this day in 1913, comedian/actor Danny Kaye was born David Daniel Kaminski in Brooklyn. While most of his impact was on the big screen, he had his own radio show in the 1940’s, and his own TV show in the 60’s. Surprisingly, he has only two appearances listed for the Ed Sullivan Show. 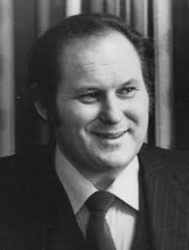 As a partner in Kaye/Smith Broadcasting he was a co-owner of KJR AM/FM in Seattle & KJRB, Spokane. He died Mar 3, 1987 at age 74 after a heart attack. On this day in 1914, announcer/actor Rod O’Connor was born in Houston. In Chicago he became radio announcer for both Don McNeill‘s Breakfast Club and The First Nighter Program. While serving in WWII he met comedian Red Skelton, who offered O’Connor an announcing gig on his Raleigh Cigarette Program in 1945. He stayed on when Skelton went to television. O’Connor also worked with some of the biggest names in radio including Art Linkletter, Dennis Day, Rudy Vallée and Danny Thomas. He died June 5 1964 at age 50 after losing a battle with cancer. 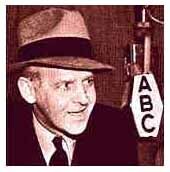 On this day in 1929, “New York Daily Mirror” columnist Walter Winchell made his debut on radio, broadcasting a blend of political commentary and celebrity gossip to “Mr. and Mrs. America…” His quick-jabbing, penetrating manner became his trademark. And so did his fedora hat. On this day in 1933, Prime Minister R.B. Bennett appointed the three members of the Canadian Radio Broadcasting Commission (CRBC), the successor to the CNR radio network, and the predecessor of the CBC. The CNR radio network officially became the CRBC on April 1, 1933. On this day in 1937, CBS radio introduced listeners to “Aunt Jenny’s Real Life Stories” for the first time. A complete story was told in five, 15-minute episodes which aired Monday thru Friday each week. Aunt Jenny was played by Edith Spencer (pictured) and later, by Agnes Young. The show continued on radio until 1956 and was sponsored over the years by Spry shortening and Lux soap. Aunt Jenny’s whistling canary, for those of you ready to inquire, was played by animal imitator, Henry Boyd. On this day in 1939, Louis Armstrong and his orchestra recorded “Jeepers Creepers” on Decca Records. Satchmo lent his vocal talents to this classic jump tune. On this day in 1941, singer David Ruffin was born in rural Mississippi. He was the lead singer for the Temptations on many of their hits from 1964-68. He died of a drug overdose June 1, 1991 at age 50. On this day in 1944, the first jazz concert was held at the Metropolitan Opera House in New York City. The stars of the concert were Louis Armstrong, Benny Goodman, Lionel Hampton, Artie Shaw, Roy Eldridge and Jack Teagarden. What a ticket! 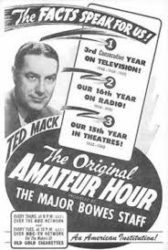 On this day in 1948, Ted Mack came to television as “The Original Amateur Hour” debuted on the DuMont network. The program continued on different networks for a total 22-year run. The original, “Original Amateur Hour”, on radio, was hosted by Major Bowes. In the TV version, Mack introduced many up-and-coming stars who later claimed great fame in show biz. Teresa Brewer and Pat Boone are just two of those discoveries. On this day in 1950, Victoria got its second radio station as CKDA began broadcasting on 1340 khz with 250 watts. It would occupy AM 1280, 1220 and 1200 before signing off forever on Sept. 1, 1995. On this day in 1951, Joan Blondell made her debut on TV in the “Pot of Gold” episode of “Airflyte Theatre” on CBS-TV. Twenty-one years earlier she had made her film debut in “Sinner’s Holiday” with James Cagney. They were both stage performers before Al Jolson discovered them for Warner Brothers. 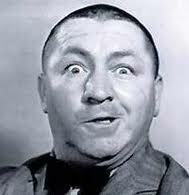 On this day in 1952, Curly Howard of the Three Stooges, whose films were a staple of early TV, died following a stroke at age 48. On this day in 1954, portly movie actor Sydney Greenstreet (Maltese Falcon) who starred in network radio’s The Adventures of Nero Wolfe (1943-51), died of diabetic complications at age 74. On this day in 1955, the No. 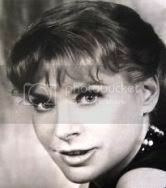 1 Billboard Pop Hit was “Let Me Go Lover” by Joan Weber. On this day in 1957, Elvis Presley recorded “One Night (Of Sin)” with the original lyrics, a version that was not released until 1983 because of its suggestiveness. Elvis reworked the lyrics into something RCA Victor found more acceptable, and his hit version of “One Night” was recorded Feb. 23 1957. Still, the label did not release it until 20 months later. On this day in 1960, “Running Bear” by Johnny Preston topped the charts and stayed there for 3 weeks. On this day in 1961, the No. 1 Billboard Pop Hit was “Wonderland by Night” by Bert Kaempfert. On this day in 1964, The Beatles made their 1st appearance on the Billboard Chart. ‘I Want to Hold Your Hand’ debuted at #35. It would eventually spend seven weeks at #1. On this day in 1965, Barbra Streisand and Bobby Darin were in the nation’s capital to sing at President Lyndon Johnson‘s inauguration. Also in 1965, The Rolling Stones recorded ‘Play With Fire’ at the RCA studios in Hollywood. Phil Spector played bass guitar on the session, while Mick Jagger rattled the tambourine. On this day in 1967, Simon & Garfunkel recorded Paul’s “At The Zoo,” a tribute to the zoo at New York’s Central Park. It would peak at #16 on Billboard’s Hot 100. 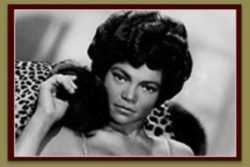 On this day in 1968, singer Eartha Kitt made headlines, as she got into a now-famous confrontation with Mrs. Lyndon B. Johnson — wife of the US President — at a White House luncheon to discuss urban crime. Ms. Kitt told Lady Bird (the First Lady) that American youth were rebelling against the war in Vietnam, linking the crime rate with the war escalation. She had a lot to say and it definitely was not, “C’est Si Bon”. On this day in 1969, drummer Pete Best won his defamation suit against the Beatles. He was asking for 8 million dollars, but won considerably less. On thkis day in 1970, Muhammed Ali headlined CBS-TV’s Ed Sullivan Show, performing a scene from the Broadway musical in which he starred, “Big Time Buck White.” Comedy came from Bill Dana and Minnie Pearl. On this day in 1971, Canadian AM radio stations were required for the first time to play 30% Canadian music content. Many stations such as CKLG and CKVN in Vancouver ran marathon Beatles or “rock music” specials over the previous weekend just ahead of the rules coming into effect. Also this day in 1971, the No. 1 Billboard Pop Hit was “Knock Three Times’ by Tony Orlando & Dawn. On this day in 1973, a Rolling Stones‘ benefit concert at the Los Angeles Forum raised $200,000 for Nicaraguan earthquake relief. Mick Jagger added $150,000 of his own to the total. Also this day in 1973, Pink Floyd completed recording their eighth studio LP “Dark Side of the Moon”, which they’d started on 7 months earlier. It would become the longest-charting record in Billboard magazine’s history, remaining on the album chart for more than 14 years – until mid-1988 – while selling more than five-million copies. On this day in 1974, the TV series “The $6 Million Man” starring Lee Majors premiered on ABC. It followed three successful made-for-TV movies, and ran weekly for five years. On this day in 1975, “The Jeffersons” was seen for the first time on CBS-TV. The show was a spin-off; based on the black family that moved next door to the bigoted Archie Bunker in “All in the Family”. The show lasted for several seasons and is still seen in syndicated reruns. 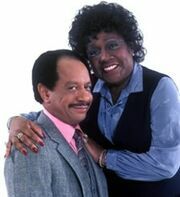 Sherman Hemsley played the part of George Jefferson, Isabelle Sanford was in the role of Weezie. Also this day in 1975, “Mandy” by Barry Manilow topped the charts but only for the one week. On this day in 1976, an estimated 80 million people tuned in Super Bowl X on CBS as the Pittsburgh Steelers beat the Dallas Cowboys 21-17. On this day in 1978, actor Carl Betz, who played the husband/father on TV’s ‘Donna Reed Show,’ lost his battle with lung cancer at age 56. Also this day in 1978, the 100th episode of “Good Times” was aired by CBS. Again in 1978, Roy Orbison underwent open heart surgery in Nashville to clear several blocked arteries. Still in 1978, singer Neil Sedaka received a star on the Hollywood Walk of Fame. On this day in 1980, Pink Floyd‘s album “The Wall” hit #1 on the charts. On this day in 1985, the home city chosen for the permanent Rock and Roll Hall of Fame was announced to be Cleveland Ohio. On this day in 1986, Dionne Warwick‘s single for AIDS research, “That’s What Friends are For”, became her second #1 song on the music charts. Although Dionne had many hits in the 1960s, singing Burt Bacharach tunes like, “I Say a Little Prayer” and “Do You Know the Way to San Jose”; she first hit the top spot when she added an “e” to Warwick and joined the Spinners in the 1974 hit, “Then Came You”. She changed her name back to Warwick (without the “e”) after making a couple of hits produced by Barry Manilow in the early ’80s. That’ll do it. Remember, “I’ll Never Love This Way Again”? Also in 1986, Tina Turner set a world record when 182,000 people paid to attend one of her concerts in Rio de Janeiro. Paul McCartney broke Turner’s record two years later. On this day in 1987, the Public Broadcasting System (PBS) was seen by over 100 million viewers for the first time in history. The audience was measured during the week of January 12-18. On this day in 1989, The Rolling Stones, The Temptations, Dion, Stevie Wonder and the late Otis Redding were among those inducted into the Rock and Roll Hall of Fame. One of the highlights of the ceremony was a tribute to Roy Orbison, who had died the previous month. On this day in 1990, former child actor Rusty Hamer (Make Room For Daddy, Make Room For Granddaddy) committed suicide at the age of 42. Also in 1990, Eric Clapton kicked off an unprecedented string of 18 concerts at London’s Royal Albert Hall in support of his solo album, “Journeyman”. On this day in 1991, three people were crushed to death at an AC/DC concert in Salt Lake City by people who rushed the stage. On tthis day in 1992, the Hollywood Foreign Press Association presented its 49th annual Golden Globe Awards. Top TV winners were Northern Exposure, Brooklyn Bridge, Scott Bakula (Quantum Leap) and Angela Lansbury (Murder She Wrote). Also this day in 1992, the song “All 4 Love” by Color Me Badd topped the charts but only stayed there for a week. 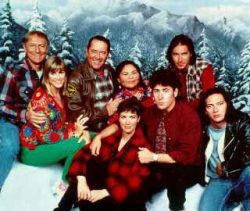 On this day in 1995, the 100th episode of “Northern Exposure” aired on CBS. On this day in 1996, Lisa Marie Presley filed for divorce from Michael Jackson. On this day in 1997, Adriana Caselotti, who warbled “Some Day My Prince Will Come” as the sweet, innocent voice of Disney’s “Snow White” died of cancer at the age of 80. On this day in 2003, a Rolling Stones concert from New York’s Madison Square Garden was aired live on US cable channel HBO. On this day in 2006, animals in Michael Jackson‘s private zoo were declared to be in good health after officials paid a surprise visit to the singer’s Neverland ranch. The inspection followed concerns voiced by the People for the Ethical Treatment of Animals. On this day in 2008, actress Lois Nettleton, a Miss America runner-up who played high profile supporting roles on weekly television for more than 50 years, died of lung cancer at age 80. On this day in 2009, in Washington DC, the inauguration of President Barack Obama was highlighted by a concert featuring U2, Bruce Springsteen, Stevie Wonder, James Taylor, John Mellencamp and Herbie Hancock. On this day in 2010, Canadian folk singer Kate McGarrigle died of cancer at home in Montreal at the age of 63. She rose to prominence with sister Anna when they recorded together in the 1970s. On this day in 2011, the world’s largest collection of Beatles memorabilia .. more than 8,500 objects .. went on display in a new museum in Buenos Aires, Argentina. Included were a box of condoms bearing the names of John Lennon and Yoko Ono, a brick from the Cavern Club, and a chunk of the stage from the Star Club in Hamburg. Also this day in 2011, the US broadcast regulator the FCC gave approval to the $28 billion sale of NBC Universal by General Electric to Comcast Corporation. On this day in 2014, melodic rock singer Dennis Hardy “Fergie” Frederiksen, at one time the lead singer of Toto, passed away after a 3-and-a-half year battle with liver cancer at age 62. On this day in 2015, Tony Verna, the visionary TV director who in 1963 introduced instant replay to sports broadcasting, and an Emmy-winning director of five Super Bowls and 12 Kentucky Derby telecasts, died after a short battle with acute leukemia at age 81. On this day in 2016, founding guitarist/solo singer Glen Frey of The Eagles died of complications from rheumatoid arthritis, acute ulcerative colitis and pneumonia, at age 67. 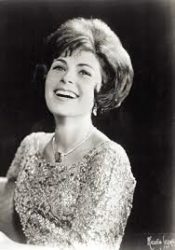 On this day in 2017, Roberta Peters, who debuted at the Metropolitan Opera at age 20 and became a reigning soprano of her era, delighting audiences for decades with performances on stage, in commercials and on CBS-TV’s “The Ed Sullivan Show,” died of Parkinson’s Disease at age 86. On this day in 2018, the final season of IFC’s Portlandia, began with a Carrie Brownstein (Sleater-Kinney) directed episode featuring Henry Rollins and Krist Novoselic (Nirvana). Brownstein was one of the show’s co-stars. Singer-songwriter Bobby Goldsboro (Honey, See The Funny Little Clown) is 78. Comedian-singer Brett Hudson of the Hudson Brothers is 66. Country singer Mark Collie is 63. Actor Mark Rylance (Wolf Hall) is 59. Actor Jeff Yagher (Room for Two, Live Shot, Six Feet Under) is 58. Actress Alison Arngrim (Little House of the Prairie) is 57. Actress Jane Horrocks (Absolutely Fabulous) is 55. Comedian/writer Dave Attell (Insomniac w/Dave Attell, Sat. Night Live) is 54. Actor Rad Daly (Walking Tall, The Bad News Bears) is 53. Actor Jesse L. Martin (Law and Order, Ally McBeal) is 50. Pro wrestler/actor Dave Bautista (WWF Raw) is 50. Rapper DJ Quik is 49. Singer Jonathan Davis of Korn is 48. Singer Christian Burns of BBMak is 45. Actress Devon Odessa (My So-Called Life) is 45. Actor Maulik Pancholy (Phineas & Ferb, 30 Rock, Sanjay & Craig) is 45. Actor Derek Richardson (Anger Management, Men in Trees) is 43. Actress Kelly Taylor (The War Of Gene) is 42. Actor David Lago (The Young & the Restless) is 40. Actor Jason Segel (How I Met Your Mother, Freaks and Geeks) is 39. Musician/actress Joanna Newsom is 37. Actor Amir Blumenfeld (Jake & Amir, Geoffrey the Dumbass, CollegeHumor Originals) is 36. Singer/actress Samantha Mumba is 36. Actress Becca Tobin (Glee, NCIS: Los Angeles, Mystery Girls) is 33. Actress Devin Kelley (Frequency, Resurrection, Covert Affairs, The Chicago Code) is 33. Vancouver-born actor Zane Holtz (Make It or Break It, From Dusk to Dawn) is 32. Actor Matt Kane (Switched at Birth) is 28. Vancouver-born actress/voicist/singer Britt McKillip (Dead Like Me, Super Monsters, My Little Pony, Strawberry Shortcake’s Berry Bitty Adventures) is 28. Actress Morgan York (Hannah Montana) is 26. Actor Sam Strike (EastEnders) is 25. Actress Sarah Gilman (I Didn’t Do It, Last Man Standing) is 23. Redmond Wash.-born actor Karan Brar (Jessie, Bunk’d) is 20.